The latest podcast from Studio 360 (a joint public radio/Slate show) opens with a 15-minute segment about the Dominos pizza Noid TV ad campaign in the 1980s. It was a popular ad campaign that had a cult following, but there's a sad footnote to it: A man named Kenneth Lamar Noid who suffered from mental illness viewed the ad campaign as a personal attack. He took two pizza employees hostage at a Georgia Dominos location, demanding money, pizza and a plane ride before surrendering to police. No one was hurt. 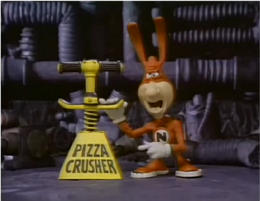 Noid committed suicide several years later. 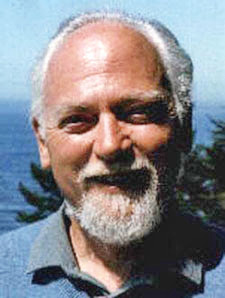 The Robert Anton Wilson connection: One of Noid's demands was a copy of The Widow's Son. The podcast mentions the title of the book but does not give the name of the author or any other further details. BTW the podcast was pretty good and I plan to try other episodes. The podcast is available on iTunes and the usual podcasting apps. I remember when this story broke, and Aye!, 'twas weird, but I found what I really wanted to know was, of course, "Why _The Widow's Son_?" I searched online for answers but found none. I thought about trying to get hold of Noid, but couldn't find a contact. Then I found Noid had offed himself in 1995. No plane, no $100 grand, no book. What a sad, strange case.